Did you play Kick the Can when you were younger? I did! 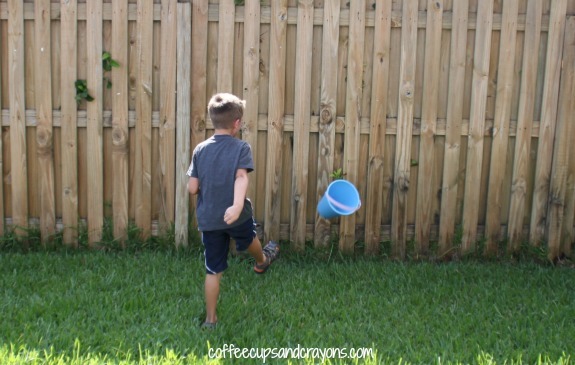 My kids love to play outdoor games so I cannot believe we never taught them how to play until this summer. 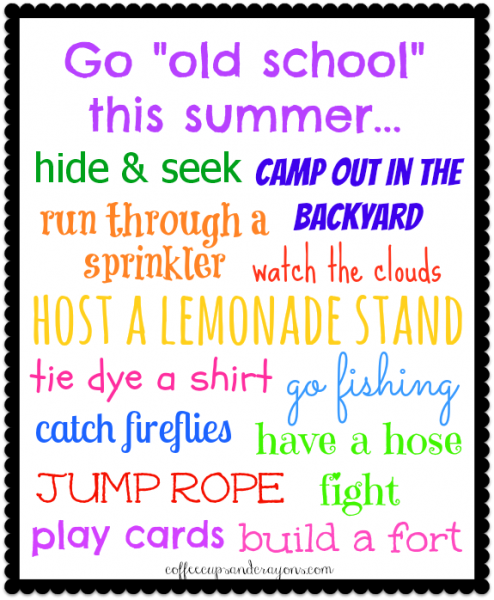 That’s why we have enjoyed our “Old School” Summer Bucket List so much, it gave us the chance to intentionally introduce some of our favorite childhood activities to our kids. 1. 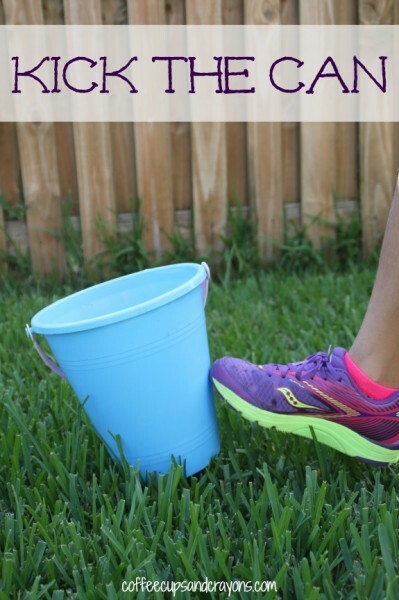 Grab a bucket or can that is kid safe and kick proof. 2. Choose someone to be it. 3. The person who is it tries to tag the other players. 4. If you get tagged you go to “jail” until another player kicks the can setting everyone free. 5. The game continues until everyone has been captured. 6. Repeat with a new tagger until everyone is too tired or it’s dinnertime. All three of my kids have been having fun with this one! We have had fun and made many new memories thanks to our “Old School” Bucket List! Even though we didn’t get through all 40 items on our list it was definitely a huge success for our family! The best part is that the fun doesn’t have to stop at the end of the summer, most of the activities are ones that are perfect for anytime of year. Click below to check out the whole list! That’s why we use a lightweight plastic bucket! You can even play with a soft ball–there’s no wrong way to play!